Delee, Woods and Aherne all tipped to scoop top awards. 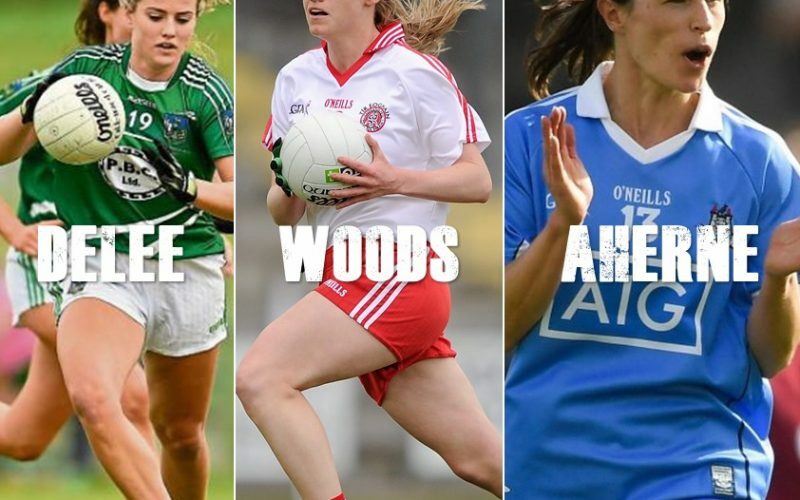 This weekend’s Ladies Football All-Stars were spoken about at length on this week’s Sportsgirls Podcast. Regular football expert Nadine Doherty was joined by RTE’s Elaine Buckley and both gave their selection. There was plenty of chat about all the positions as well as both wanting the LGFA to have specific All-Stars for Intermediate and Junior Grades. The various Player’s Player of the Year was talked about with both Nadine and Elaine giving their verdicts on how they think will win the individual awards. Limerick’s Rebecca Delee got the nod from both Nadine and Elaine for the Junior Player of the Year. Both feel Neamh Woods from Tyrone will be named Intermediate Player of the Year. While both expect Sinead Aherne from Dublin to pick up the Senior Player of the Year Award after a fantastic year for the Girls in Blue.